Jeffrey Zeigler will be performing Rubatosis, a composition for solo cello that he commissioned from JG Thirlwell, at the Rite Of Summer Music Festival on Governors Island NYC on June 25 2016. 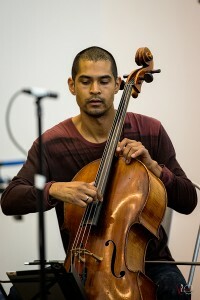 He will also perform pieces by Bryce Dessner, Paola Prestini, Andy Akiho and David T.Little. Performances are at 1pm and 3pm.